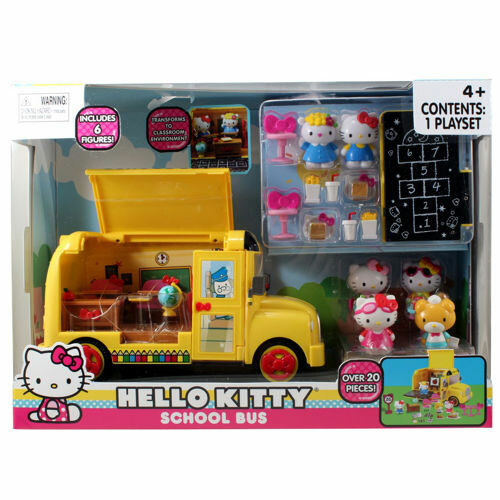 Hello Kitty Yellow School Bus converts or transforms into a Hello Kitty Classroom. Fully equipped with all you need for a fun learning experience. 6 Figures of Hello Kitty and friends included with more than 20 pieces of play accessories.